WELCOME TO ALABAMA SMILE DESIGN! Your home for State of the Art General, Cosmetic & Implant Dentistry in Mobile, AL. Are you looking for a dental team who delivers uncompromising state of the art general, cosmetic & implant dentistry combined with warmth, understanding and personal attention because that’s exactly what you’ll find at Alabama Smile Design! We have taken the “dreaded dentist appointment” and transformed it into an enjoyable, relaxing visit! Quality is everything here; from comprehensive treatment plans to state of the art restorative and cosmetic dentistry techniques, to a personal concern for your needs, we are devoted to your optimal dental health. Our team strives to make your visit smile worthy in a comfortable, relaxing atmosphere. At Alabama Smile Design, we are dedicated to the hard work it takes to provide the very best general and cosmetic dentistry and red carpet service to patients. Dr. O’Donnell’s memberships in quality professional dental associations keeps him abreast of new techniques, the latest products, and the newest equipment that a modern dental office can use to provide state-of-the-art dental care to patients. As a result, we are able to provide many benefits to our patients, including restorations that fit better, procedures that don’t take as long, more accurate diagnoses, and an overall more enjoyable experience. At Alabama Smile Design, our team has your best interest at heart, we follow up after a procedure and are available when you need us. Most importantly, we truly care about our patients and view each and every one as part of our family, so you can count on being taken care of professionally and in a timely manner. "BEAUTIFUL SMILE TO MATCH A BEAUTIFUL CITY"
We are proud to offer high quality general & cosmetic dentistry with a personal approach. You can maintain regularly scheduled appointments for your whole family at one location and eliminate the stress of driving to different offices. Don't settle for the practice down the street using decades old technology and outdated equipment. We believe in investing in our practice to offer patients the most advanced technology on the market. CEREC, Digital X-Rays, 3D Printing just to name a few. Most importantly, these technologies provide many benefits to out patients and allow us to provide the modern, convenient care they deserve. We value your time and believe that when it comes to your smile, there should be zero shortcuts. 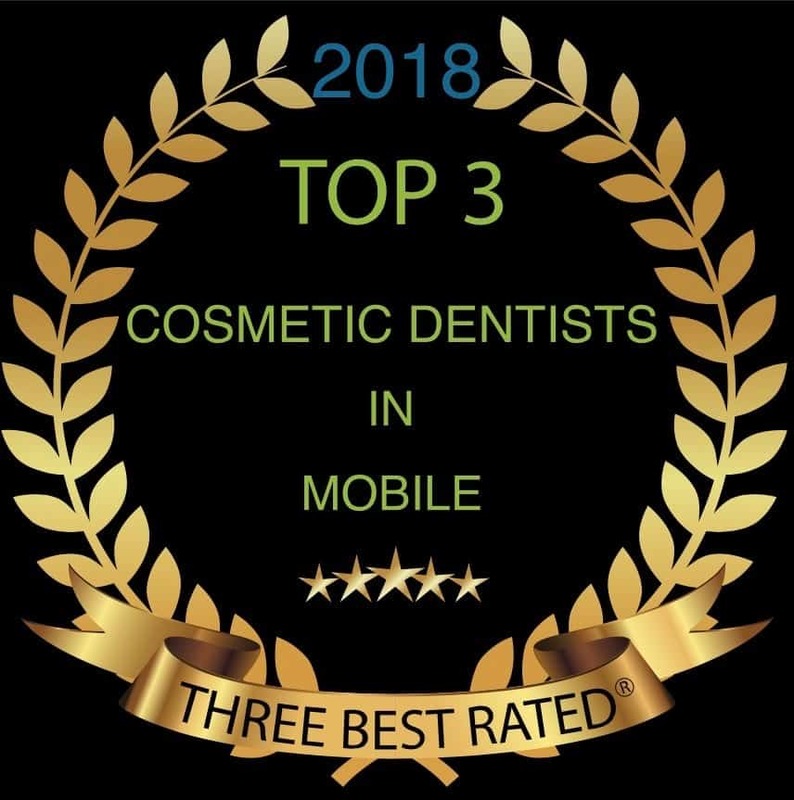 As a result, we are one of only a few dental offices in Mobile, AL. to offer same day dentistry using CEREC technology to our patients. Our team has extensive experience and training using CEREC to deliver top notch porcelain restorations in ONE VISIT. Broken or chipped tooth? Lose a crown? We understand that there are things in life beyond our control. We truly care about our patients and are available when needed, therefore we offer same day dental emergency appointments so give us a call. A Fellow in both the Academy of General Dentistry and the International Congress of Oral Implantologists. A lecturer & Key Opinion Leader on CBCT, Dental Implants and 3D printing technology, as well as a CEREC trainer, teaching others how to do what his team does daily. A Top Rated Gulf Coast Cosmetic Dentist who specializes in restoring and enhancing the natural beauty of your smile. Dr. O’Donnell is committed to lifelong learning and stays on the cutting edge of dental advancements to improve the care he provides his patients. His passion is creating the smile you were meant to have – one that is attractive, confident and beautiful. Enjoy your visit? Please let us know. We’d love to feature your review here! "This team would get a ten if the numbers were higher. The creme' de' la' creme' of Mobile!" "Yesterday I went to the office for my regular appointment, and I was just as pleased as I have always been with the level of professionalism and care provided. Everyone is super nice and friendly, from the front desk to the hygienist to the doctor. Terrific bedside manner. Above all, I feel like my overall dental health is a priority...definitely don't feel like I'm "just a number." I absolutely give a 5 start rating!" "I was dreading having a root canal but Dr. O’Donnell did it with no pain. Dr. O and his staff are very friendly and helpful. I would and have highly recommended them to all my friends." "Alabama Smile Design provides great service by a very friendly, professional team. Quick and timely cleaning and crowns are made in-house, which allows for a one-stop, fast visit to get a crown, instead of the usual two trips. I would not go anywhere else. Highly recommend!" Have a question? Just ask. We’d love to answer your dental related questions here!